I recently enjoyed the most amazing Blue Cheese and Arugula Pizza at a new restaurant in Brooklyn. 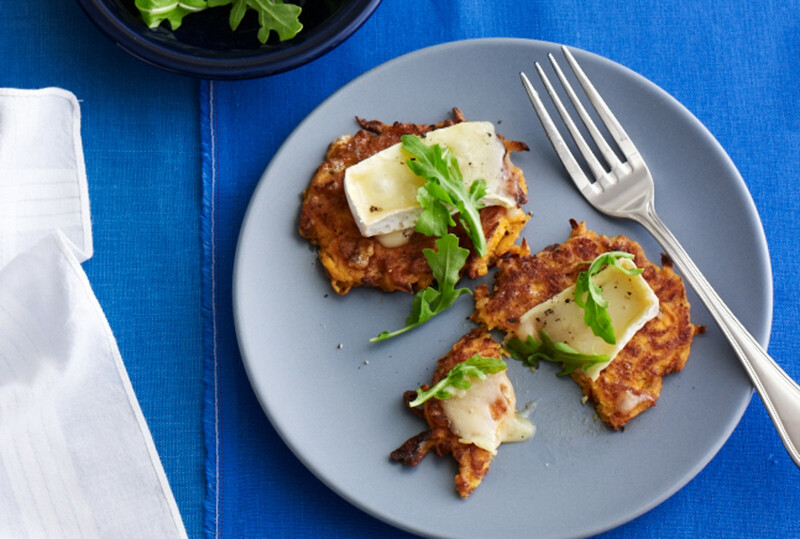 Couldn’t stop dreaming about it—and this superb latke is the inspired result. 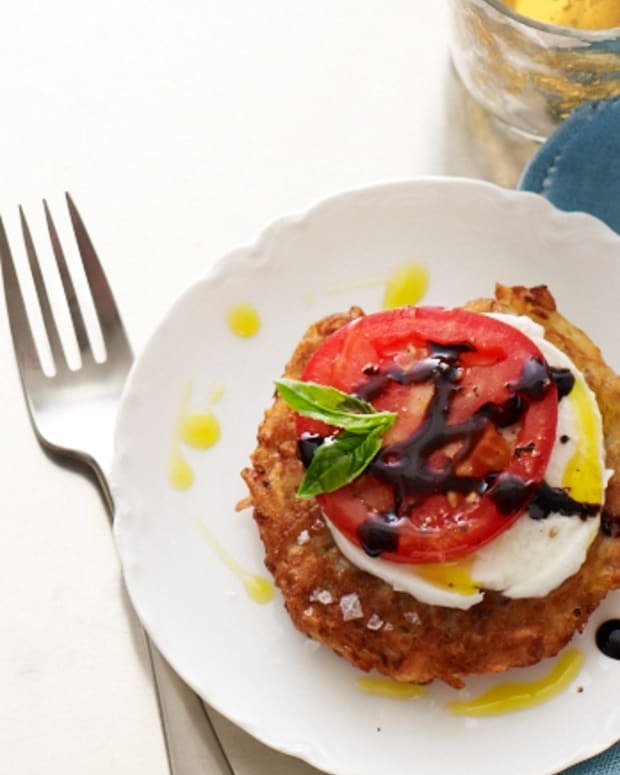 Use blue cheese (for a tangy, bold, sweet and sour flavor) or brie (for a milder, creamy effect) and finish it off with a drizzle of olive oil, balsamic vinegar, and freshly ground black pepper. 1. 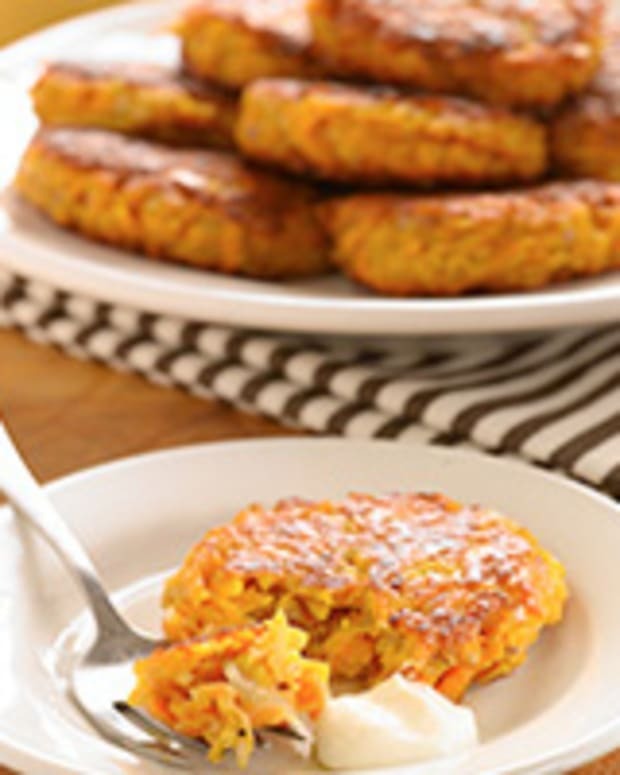 In a large bowl, mix together sweet potato, flour, baking powder, salt, pepper, garlic powder, eggs, and milk. 2. Heat ¼-inch oil in a large skillet over medium heat. 3. Line a sheet pan with two layers of paper towels. 4. Working in batches, drop ¼ cup batter into oil, and flatten slightly into circles. Fry until nicely browned, about 4 to 5 minutes per side. 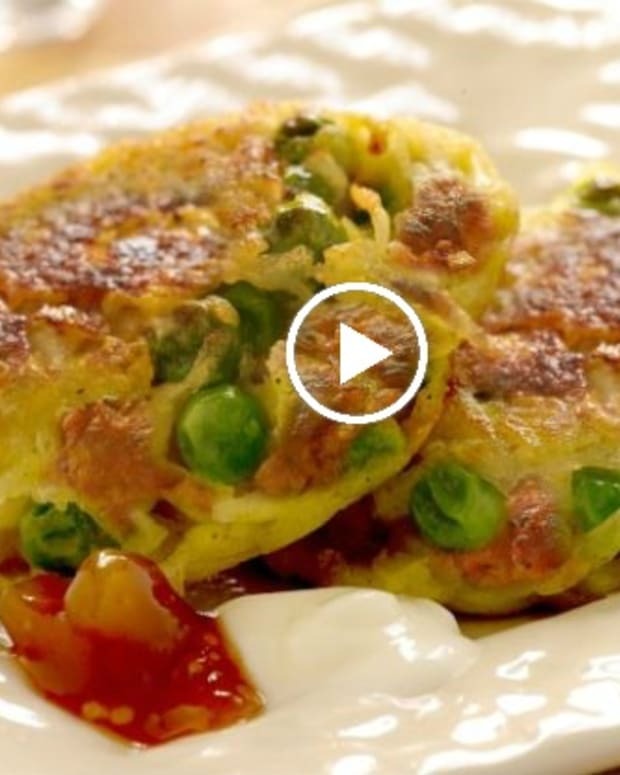 Remove from pan, and drain on the prepared pan, and continue with remaining batter. 6. 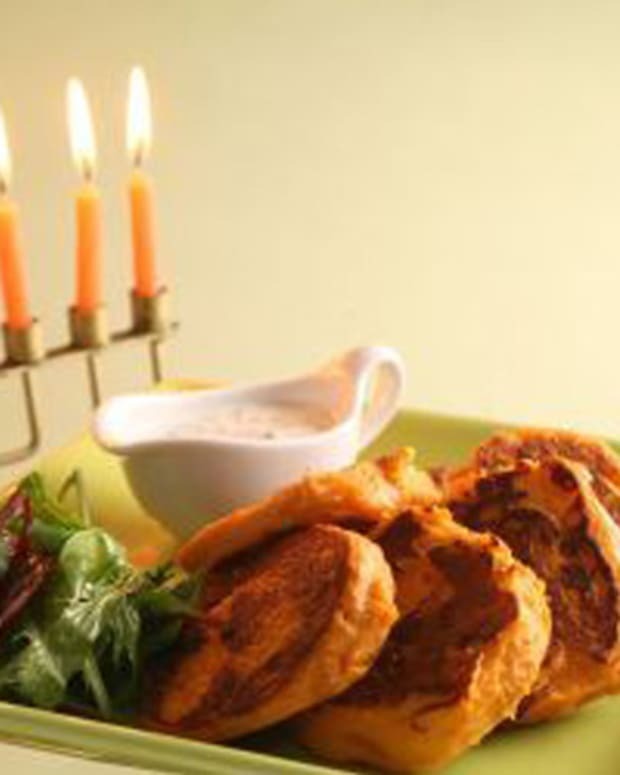 Remove paper towels from under the latkes. 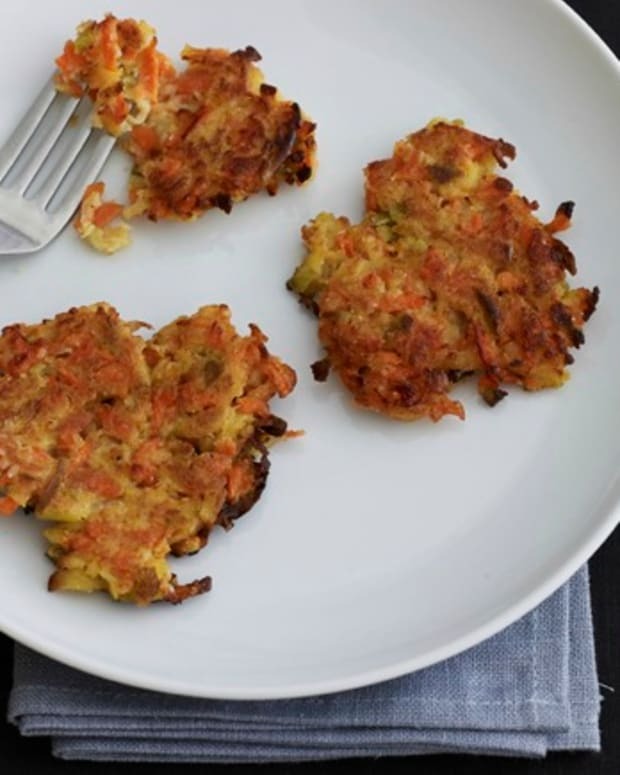 Place a slice of cheese on each latke and broil until cheese is slightly melted and bubbly at the edges, about for 2 minutes. 7. 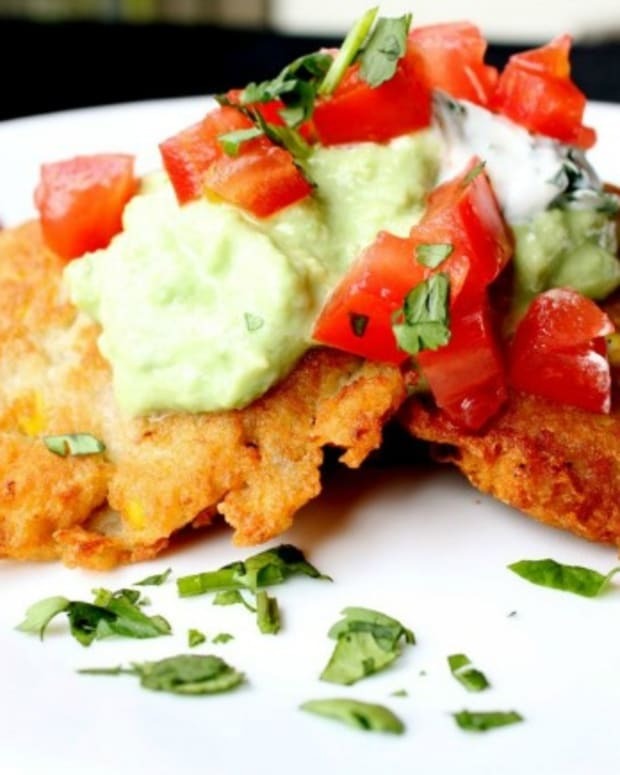 Place two latkes on each appetizer plate and top with a few leaves of arugula. 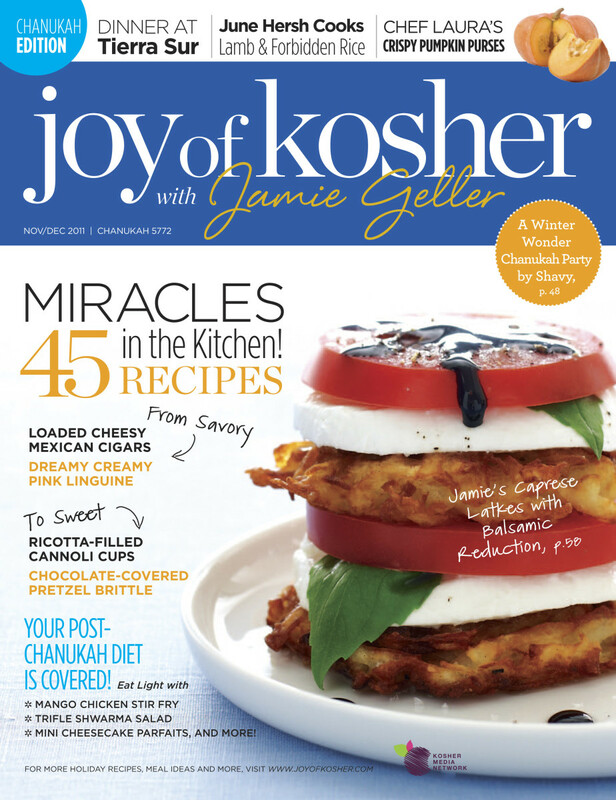 As seen in Joy of Kosher with Jamie Geller Magazine (Winter 2011) - Subscribe Now.